When you’re faced with overwhelming amounts of debt it can be fairly easy to want to get rid of it. Naturally, bankruptcy is an option that could give you the “fresh start” you need. Although filing can minimize your debt and give you more time to repay them, bankruptcies can haunt you for years. Preventing you from being able to obtain things like a home, car, or personal loan, filing for bankruptcy can have a negative impact on you financially for 7 to 10 years. So how does one avoid it? Creditors are willing to work with customers who have delinquent accounts. Why? Because they’re trying to cut their losses and collect what is owed to them. So, before you file bankruptcy, reach out to your creditors to see if you can negotiate a settlement amount for your outstanding debt. Usually, they will remove some of the fees so that it is a smaller amount owed. This way you avoid bankruptcy and they can retrieve some of their losses. Once you’ve agreed on a settlement amount, you can then apply for installment loans online. This allows you to pay the settlement amount to the creditor right away and gives you more time to repay the loan. Obviously, this should only be an option if you have a job and can afford the payments in the loan agreement. When you file for Chapter 7 bankruptcy, your home and all your assets are up for grabs as a means to pay off your debts. Why not skip the whole bankruptcy process, the negative mark it will leave on your credit report, and just sell your home yourself? If your home will generate a profit, sell it and rent instead so that you can use the money from your home to pay down the debts. Don’t own a home? Sell your car and use public transportation for a while. Or sell some of your unwanted clothing, jewelry, or electronic devices. Sometimes, we think we can’t afford things because we’re not properly managing our finances. Small expenses add up to a lot of missing cash. Before filing bankruptcy, take another look at your spending and budget. Have you really cut back in all the areas you can? Maybe you need to make more sacrifices. For instance, maybe you have to make your coffee instead of grabbing a cup every day. You might need to ditch cable and stick to free streaming services like YouTube to watch shows and movies. You may need to downgrade your cell phone package. Really evaluate your spending and pinpoint the areas of weakness so that you can begin correcting the behavior. If you can’t seem to find the weakness, consulting with a financial advisor is ideal as they have a third party opinion that you may not have thought of. At the end of the day, if you don’t have enough money there are ways to make more money. The internet is filled with ways to make cash fast so that you can increase your income and get out of debt faster. Answering surveys, doing customer service work on the side, writing product reviews, and even reading emails and reviewing websites can bring in cash fast that you can apply to your debts so that you don’t have to use your regular income for it. 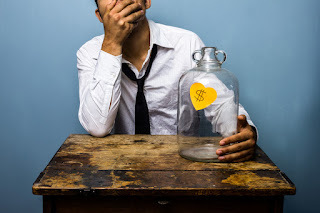 There are circumstances in which filing bankruptcy is the only answer that you have. However, because bankruptcy is a serious decision that can have a lasting impact on your financial future, it is imperative that you’ve considered all other possibilities first. Should you find that you still cannot generate enough money to afford your debts, be sure that you work with a bankruptcy attorney to get through the filing process.